If you are new to couponing or starting out and need to build your coupon stash.. this would be a GREAT weekend to get the paper! There will be 5 inserts and some great store coupons from Albertsons. Read the post from the Post Register below...I will caution you that buying them from the store or gas station sometimes means you will not get all the inserts..best way to get them all is to subscribe. There will be FIVE coupon inserts in the paper on Sunday PLUS Albertsons TTV coupons! Totaling over $250 in coupons! So if you were a 5 Sunday paper subscriber you would get over $1200 in coupons in your paper! Includes a GM, P&G, RP, SS and the Moments to Save from Frito-Lay and Pepsi! GREAT COUPONS combined with store sales ..... could be the "perfect storm" for couponing this next week! Call NOW to subscribe 522-1800! Did you know that most people only wash their face for 20 seconds? It is recommended to wash for 1 minute AND to start in your more oily areas..most people start at their cheeks which tends to be a drier area and can result in breakouts. It is Twice the Value coupons this week..which is basically a doubler coupon. I love the sites A Thrifty Mom, and Fabulessly Frugal for my Double Coupon Match ups. You can find these blogs on the right hand side under my "blog list". Also.. since the coupons come in the Sunday paper (and this last time you could print them from the Albertsons facebook page..so make sure you "like" Albertsons facebook page so you can get some if they do the same this weekend) I like to make a trip in on Saturday some time and see if there are any unadvertised sales and what the stock is like on the items i am wanting and then that night i plan my trip out. Excited! To stock up..or not to stock up..that is the question. I find that sometimes i can get items for cheaper than the case lot sell..that is if i use coupons. If you are not a couponer than the case lot sale is a good option. I make my own pasta sauce so i go through A LOT of tomato sauce and this is when i do stock up on it. Do you make a lot of different kinds of soup in the fall? If you do..this is also a good time to stock up on your different lentils..like white beans. I also like the price of the maple syrup in the large container..compared to buying multiples of the smaller containers. Below i have listed some of the best finds..in my opinion :) AND..if there are any available coupons i am aware of to use with the sale. 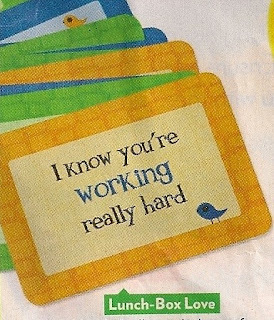 Most items are western family brand and do not match with coupons. On a side note..make sure you have room to store what you buy :) This is something i forget sometimes and then i get home and...ohhh no... freezer is full..or cabinets are full..but that is a good thing right?! If you really don't like couponing or just don't want to bother with it.. this is a pretty good sale for stocking up on items. I bake a lot in the fall and winter so the items that i noticed are definitely items that will help that cost less. Let me know if you find some great coupons that match this sale or what you feel is a great value! Love to wash my bedding, towels and blankets with these..long lasting scent is great! The Roman Empire did not fall in a battle of war. There was no single big clash of arms that drove it to its knees. It was corroded from the inside. At one stage, the wealthy held so much gold coins that there was not enough currency to keep services to the public going. By keeping the money to themselves the wealthy had simply run the nation into the ground. 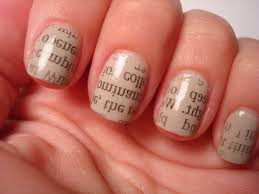 Newspaper nails-Frugally done by you! I went to yard sales this weekend (which i do on most weekends if my kids are up for going early) and i found some fun things. While i know this may not interest some i am hoping it will my fellow yard sale addicts. I look for anything and everything at yard sales. Often you can't go with certain things in mind because you find the most random things..and things you never knew you liked until you are looking at it and holding it in your hand. I love the thrifty deals i got this weekend and am excited to share them with you. Sweater for my husband .25! So if you find this on sale and use it for sandwiches, no bake cookies, on celery and so on...get it now while its cheaper. Did you knowits physically impossible for pigs to look up at the sky. I absolutely love summer for SO many reasons..but one main reason is yard sales. I grew up going to yard sales on Saturday and i loved it. You never know what you will find..and for what price. I went to some yard sales this last weekend and had such a great time! I am saddened that the yard sale season is coming to a close. I will be posting some of my great finds later...but until then..do i have any other fellow yard sale addicts?!!! And what do you look for when you are out and about? We are coming into the time of year that everyone seems to be sick with something. I love the fact that they at least have the wipes for the carts at grocery stores and i usually also stick a little hand sanitizer in my purse. I was at one of my local stores the other day and put a little hand sanitizer on and i happened to be walking by the pharmacy. I must have been rubbing my hands together like a mad woman because the Pharmacist said "actually.. you should let your hands remain wet..that is what kills the germs..not the rubbing and getting them dry". I had no idea! I hope you enjoy my little "did you know" for the day! Albertsons has a great promotion right now when you purchase the Bridesmaids DVD or Blu-ray. You pay the $16.95 for dvd or $21.95 for the Blu-ray combo pack and get these items free. That sounds pretty good right? Especially if you were already going to buy the movie. BUT.. i found a deal that makes this even better..go to the link below to get your $5 off coupon for the Bridesmaids Movie!!! YAYYYYY Click the blue highlighted area on the page the link takes you to and you'll be able to print your coupon. Thanks to forthemommas.com for posting that great coupon! *cream butter and sugar until light and fluffy. Beat in the vanilla, eggs and pumpkin. 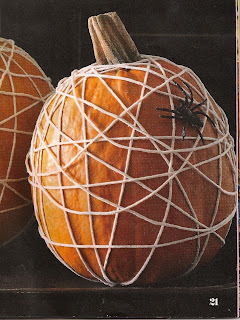 Add dry ingredients into the pumpkin mixture. Stir and fold in chocolate chips. Drop by teaspoon rounds ( i personally like to use a ice cream scooper for a little bigger cookies) lightly greased cookie sheet. Bake 375 for 10 to 12 minutes. The house will smell great and you'll have some very yummy cookies afterward! *If you are wanting this as more of a scrub and less of a mask then you will need to decrease your pumpkin and milk and increase your sugar to a texture that is to your liking for application. Mix together and apply mask to face. Let sit for 15 minutes. I paper towel off some of the excess and then rinse with cool to warm water. Enjoy! You may only want to do this twice a month or at most once a week to start to see how your skin reacts. If you are allergic to any of the following ingredients please DO NOT do this mask just in case it cases a reaction or skin irritation. I will be posting recipes for those little goodies in my next posts! Warning.. doing all of this things in a single day..who knows what the out come will be..smelling good..pretty skin..yummy cookies..and well.. you know..the other! Especially if you do the mask/scrub while your husband is home..he may just want to lick your face off! Avon Sale and great shipping promo! Avon is having a sale on many items..as an example their glimmer stick eyebrow, eyeliner, and brow liner are all on sale for $2.99. They have some fun new ones that are in sparkling metallic shades for fall. My favorite go to liner that is a pencil liner is the ultra luxury liner and it is on sale right now for $1.99! I also absolutely love the Mark face powder and skin which you can also order and receive the same shipping promo. I hope you find something great! Below is the link to my site that you can order directly from if you go to the SHOP NOW tab. Remember to enter the code Autumn2011 to get the free shipping over $10 orders. When it is cold in the mornings in the fall i get a little stir crazy and need things to do..so THIS is what i worked on the other day. My mothers birthday was last week and she is completely impossible to buy for..she has everything..so i wanted to give her something that she could keep for awhile and that i put some time in to. I was inspired with the leaf theme of the tea towels from a post i put on about a week ago..which was a chair post with card stock leaves. This was a fun project that did not cost me much since i had bought the towels on sale at Porters and the felt at a yard sale. It was actually kind of calming to sit and hand sew the leaves on. It is a fun way to make a set of tea towels more decorative and personal..and depending on the print and design add ons you do..can be completely different for whom ever you are making them for. Hopefully my mom will like them! 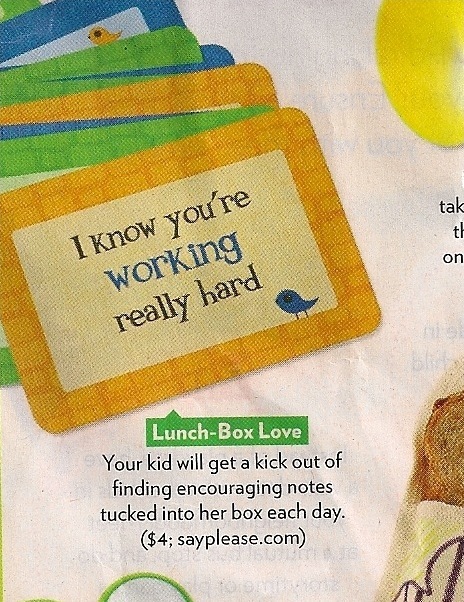 Say Please Lunch box love notes..huge discount! I love this idea. 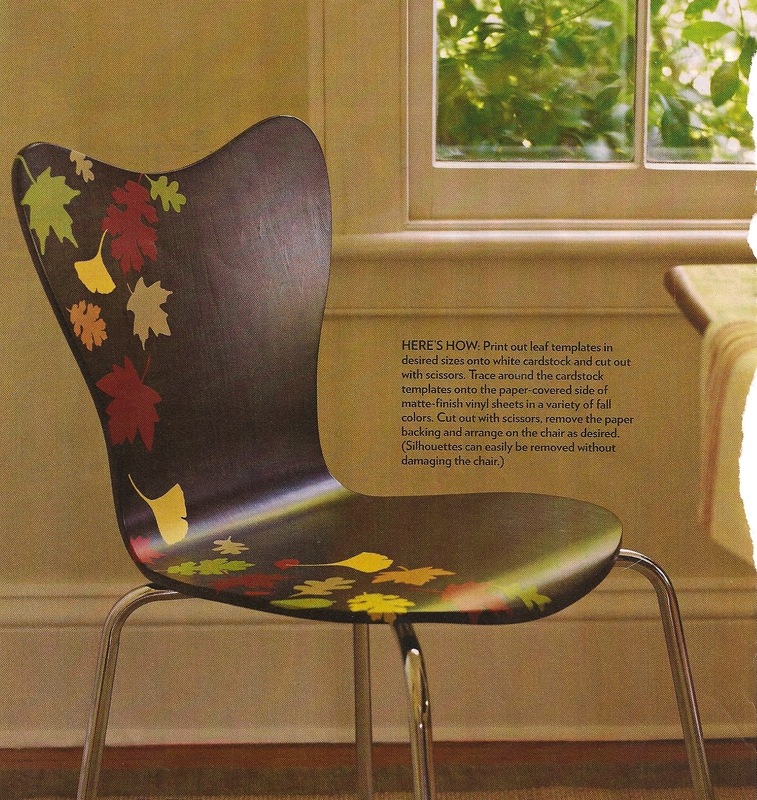 All you need is a printer available to print free leaf templates and some card stock. 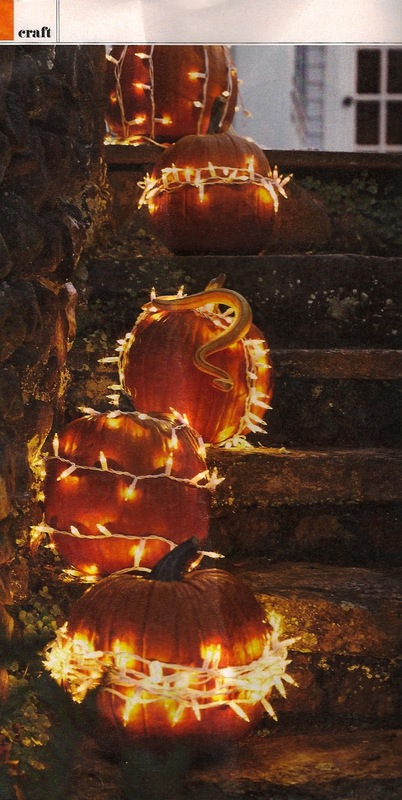 What a fun idea for fall! You could use this idea on a chair..a door..maybe above an entry way? I love this idea! 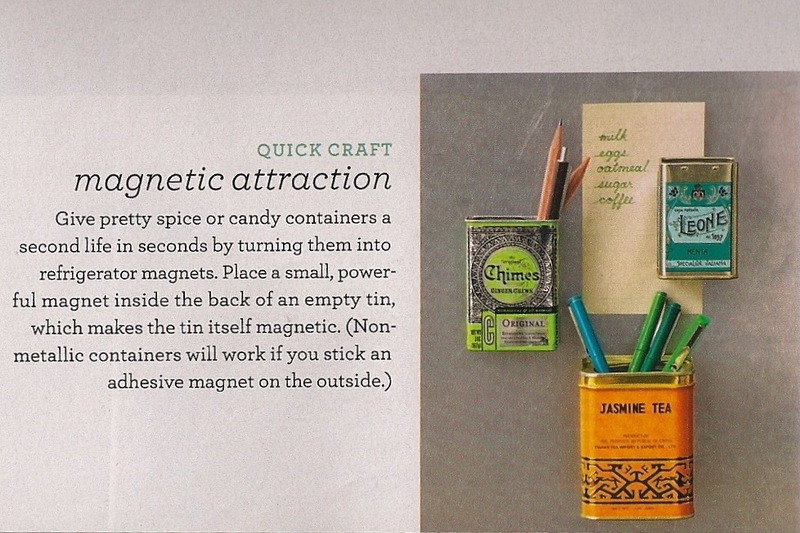 You could also put paper around them and let the kids decorate them and then put them on the fridge. 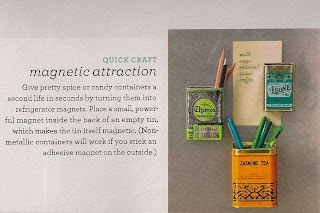 You can usually find tins at a thrift store or use your old black pepper tins to put paper on and decorate..BUT i am now in search of beautiful decorative tins like these pictured below! Trent played the game Risk at a friends house recently and became hooked on it. I myself played the game when i was younger with my sisters and remember bits and pieces of it. (Especially the part where we would whine and scream at each other when the other wiped our territory out) I decided i would check into the price of the game because Trent did like it so much and we play many board games as a family on the weekends. I was surprised to see the prices vary anywhere from $25 to $140. I decided i would be patient and see what i could find. Trent and I were at D.I the other day and he was SO excited to come up to me with the Risk game. We went through it to make sure it was all there. (it is from a thrift store so you never know) It was and we are thrilled with our purchase that ended up being $2.00. Yay for patience! I love magazines...like love love them, but they can be expensive for a quick read and then you may lay it down and never pick it up again. I have started using the magazines online resources instead of buying many of the magazines. All You magazine has some fun decorating ideas if you are already in the Halloween Mood. 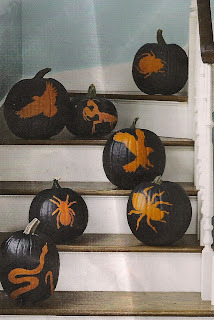 I am crossing my fingers that my pumpkins will be big enough to be able to do some of these fun ideas. I love the clothes pin bats idea! Pictures posted are from this months Woman's day magazine. I absolutely LOVE this idea. 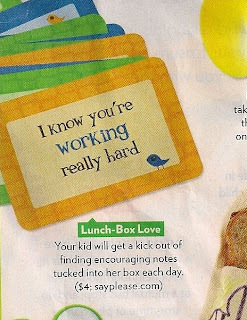 SAY PLEASE lunchbox love for kids notes are the cutest little things and a great way to let your kids know that you are thinking of them through out the day. Trent takes cold lunch quite often to school and he loved the idea of the little facts on the back of the cards as well. While the cost of these cards are not expensive, i thought about how easy it would be to make some of your own..especially if you have scrapbooking supplies on hand. To get ideas to do your own or to order visit the link below. Also...there are some fun free downloads for kids..like a turkey maze, and how to make a turkey pattern you can print off for the upcoming holiday time. New Additions to your yard for fall. It is rare that you see coupons for baby food items and when you do the number of prints available is usually low and run out quickly. So... if you want to use these coupons print them now :) My little one loves the snack puffs and sticks. Search for coupons with either the zip code 83440 or 77477. Happy Searching! Click the link above and use zip code 77477. Search through to find the 25% off coupon at BEALLS which is a new store coming to Rexburg area. I have been told it is like Ross. (which i love!) You can typically print two of each coupon. Maybe now would be a great time to spruce up your fall wardrobe! These are two books that i am excited to start reading. Did you know there was a 5 languages of love for children book? I love when this coupon is available. I watch Smith's, Broulims, and Albertsons for when they have any brand of cheese on sale. It is for a 2lb brick of cheese. I can usually find a good enough deal to pay only $3.99 for a 2lb brick of cheese. Go to the link below to print! There is also a milk coupon that is available to print. And as i have said in preview posts..you can typically print two of the coupon. This is a topic that i am very passionate about. Box tops for education gives schools the opportunity to receive money that they otherwise do not have. I remember when i was growing up and going to grade school..we went on field trips quite often. Now that my son is in grade school, they rarely do. Now i am not sure if that is for budget reasons or other.